I love teaching geometry because it lends itself so well to lots of fun hands-on activities. 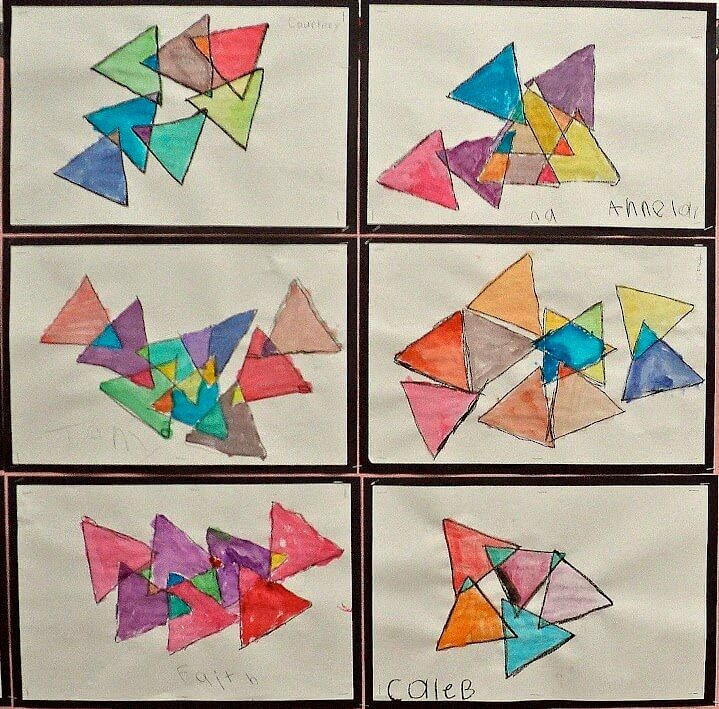 This cool art project, called "Triangle Within a Triangle", comes from Jill at Mrs. T's First Grade Class. It was an absolute hit with my class and was VERY easy to do. Before beginning the activity, we read The Greedy Triangle by Marilyn Burns. Then we got started with our art. I cut out several cardboard triangle tracers and gave a few to each group (they had to share). Everyone traced several triangles, being sure to overlap them. They used pencil for this in case they needed to erase. Then they traced each triangle with a black crayon. Last step was to paint each triangle (big and small) in a different colour so that they were all easy to see. We used watercolours. 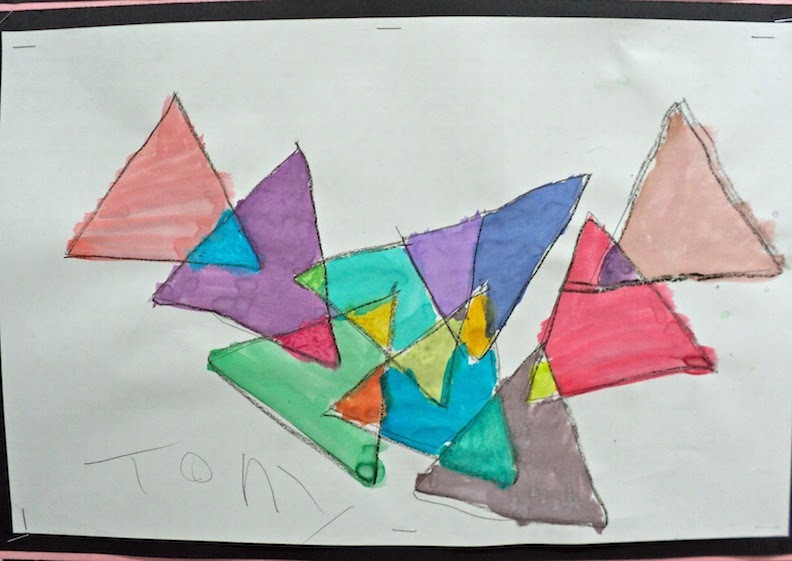 I thought this was a brilliant (not to mention fun) lesson because most first graders think that triangles only look one particular way: an equilateral triangle with one of the points straight up. 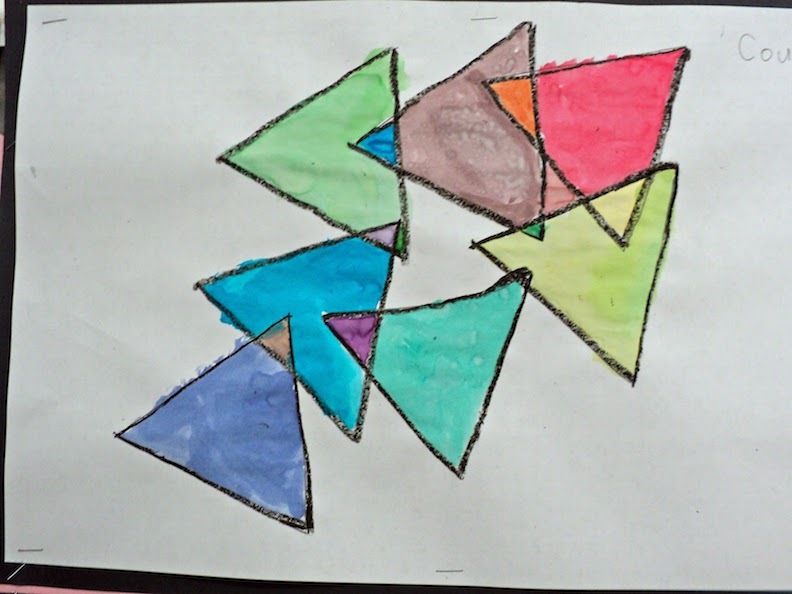 This art lesson really brought home that the triangles come in all sorts of different sizes, positions and configurations. I'd probably give the kids two different sizes of tracers and possibly limit their triangles to 5 or 6. This is so cute! I will have to try it! 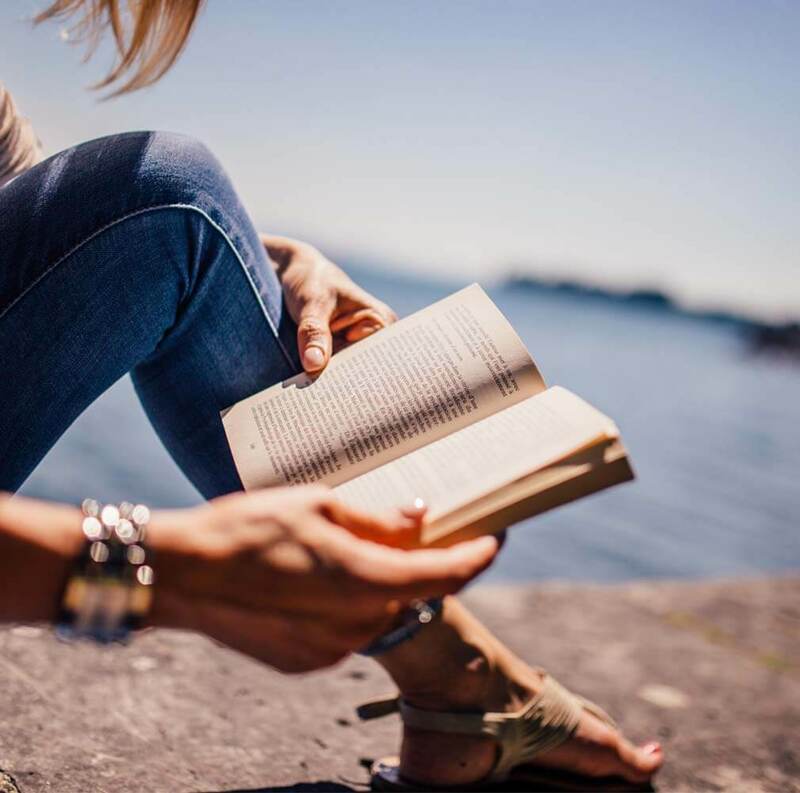 Jill's blog is one of my favorites. She always has the best ideas. I'll have to look up the Marilyn Burns book, have never seen it before. Thanks! 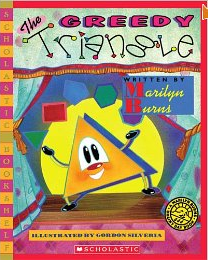 I love the Greedy Triangle book. I always use it when I cover 2-D shapes. I really enjoyed the shape art that you created. I love the way they turned out! Thanks for the shout out! You are way too sweet!!. I forgot about The Greedy Triangle...What a great add in. You're welcome, Jill. I'm really enjoying your blog. If I remember correctly, it was Dee who first sent me there.